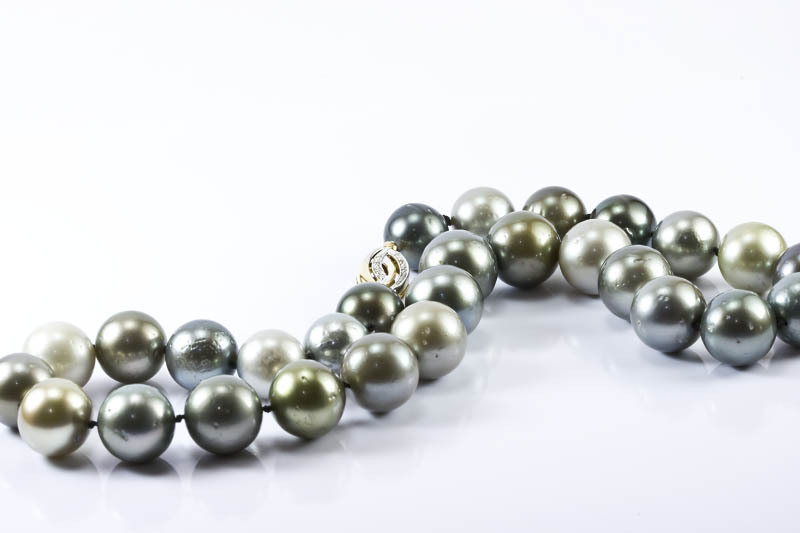 18" 13-15mm Multi Color South Sea Pearl Necklace (Tahitian) , 14 K. Gold & Diamond Clasp. 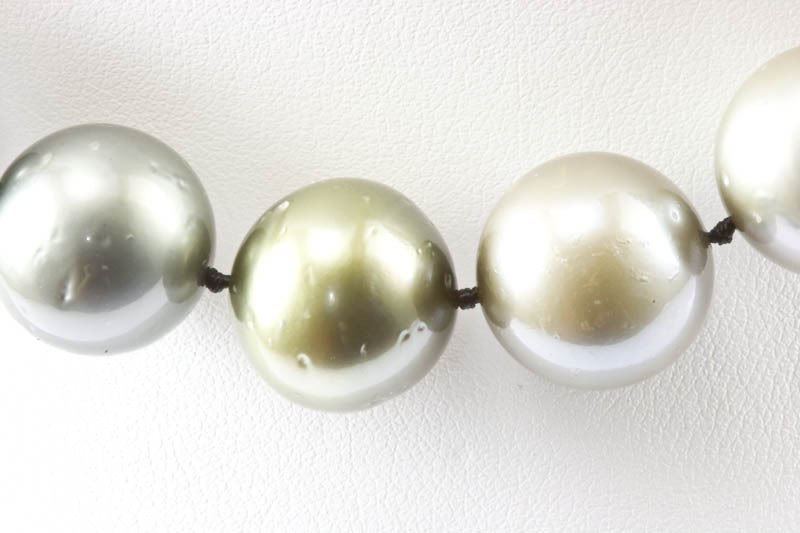 This multi color Tahitian necklace is so gorgeous. 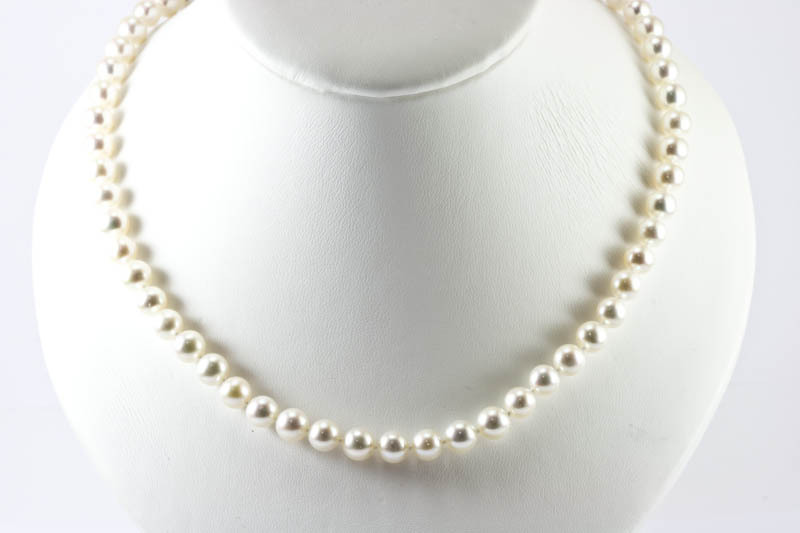 The pearls sizes are from 13-16mm in a graduation style. 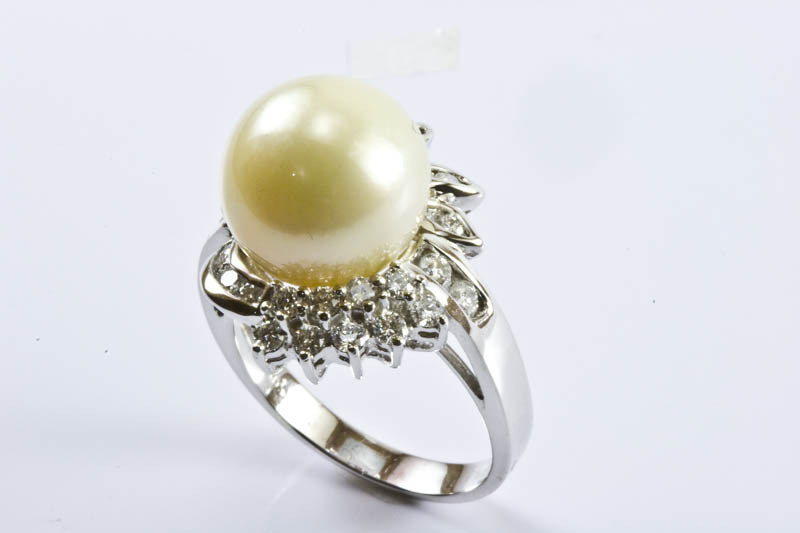 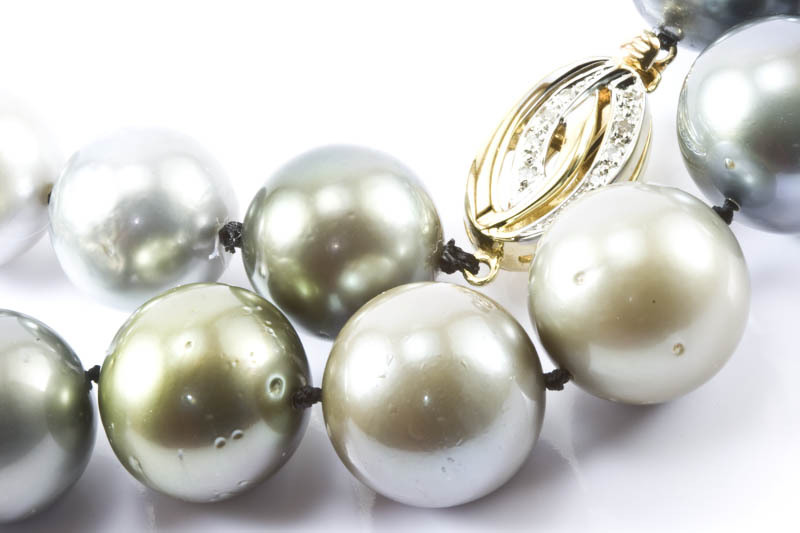 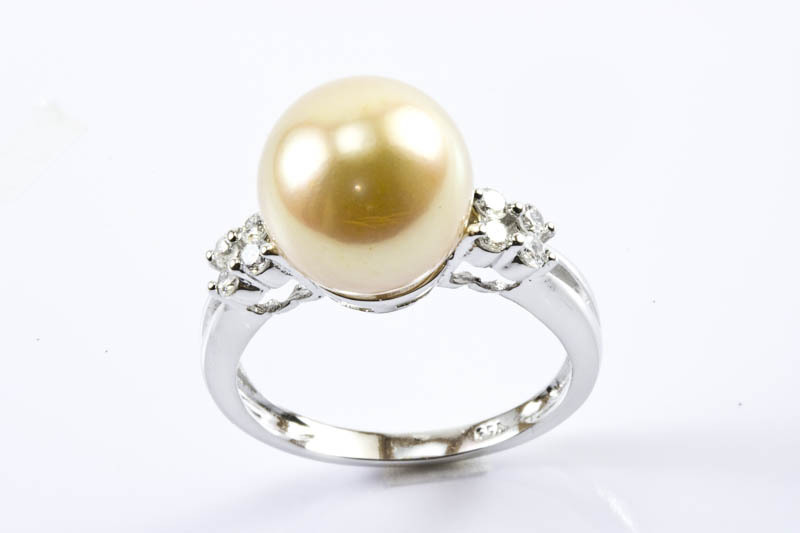 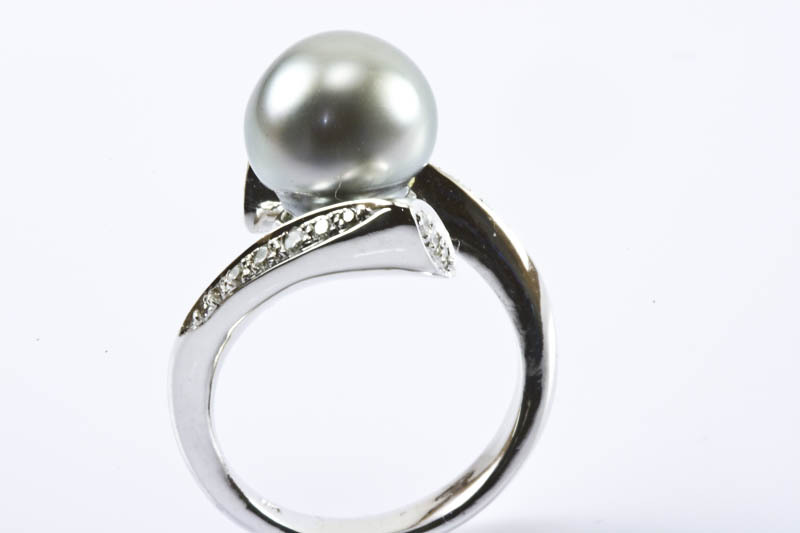 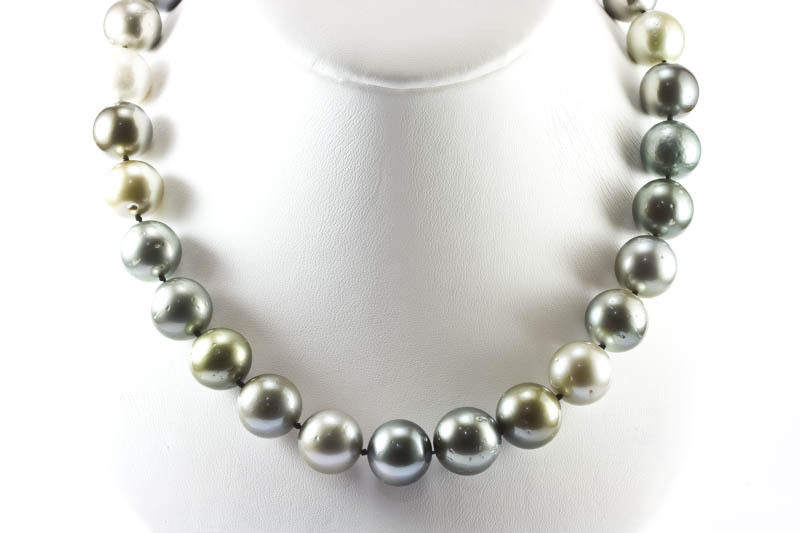 Pearls colors are creamy white, gray, gold and black, with different color overtones. 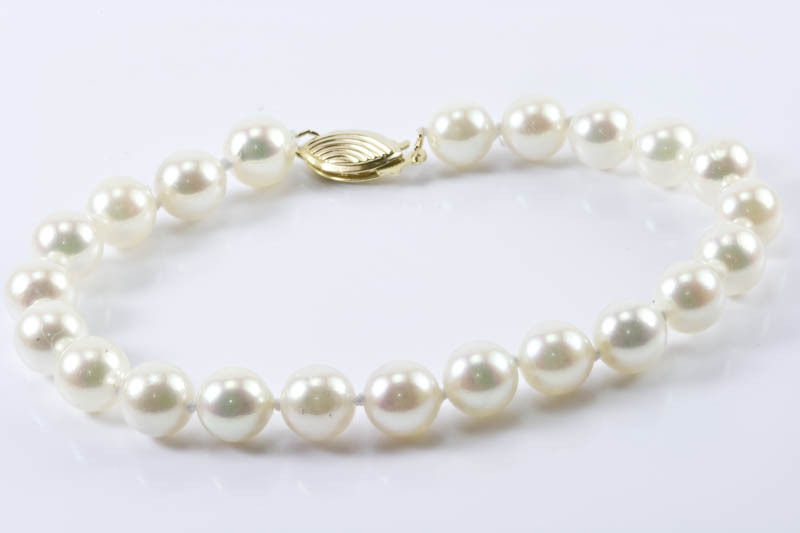 Pearls are hand-knotted individually and finished with a 9x14mm 14k gold and diamond clasp.